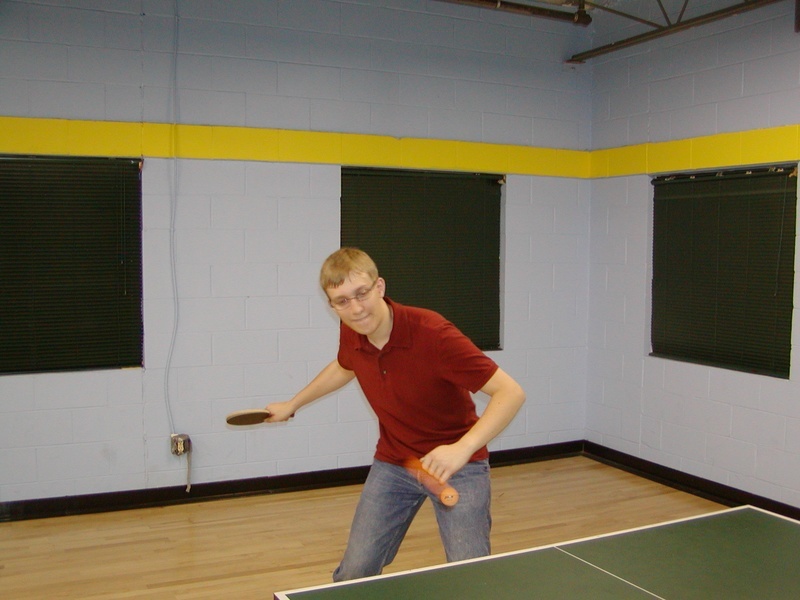 I’ve been getting exercise by playing table tennis in Medford. Table tennis is a nerdy sport, no doubt, but it is good exercise, and it is a tough game. I think I’m getting a little better, but I still lose to just about everyone in the club. Of course everyone in the club is very good, so it’s a high starting point. It looks like you're about to hit the ball, but it also looks like the ball is already moving away from you (due to the way it's streaking). What's up? good eye. The flash fires first, and then the shutter stays open for the duration of the shot. So you see the ball sharply at its _earliest_ point, and then a ghosted image where the shutter is still open. I had the camera on program mode for the guy who was taking the picture. If I did it myself I would have set the shutter-speed lower so it wouldn't ghost like that so much.